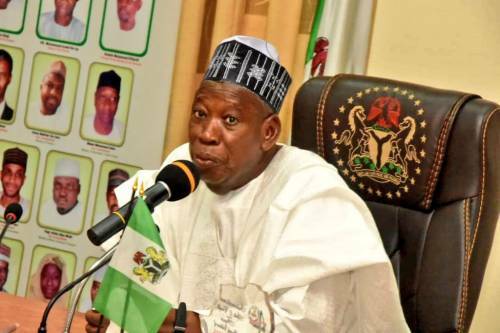 The Kano State Government on Tuesday dismissed reports that killings were perpetrated during the March 23 re-run Governorship Election in the state. The government, therefore, challenged those who made the claims come forward with a proof of such killings. The State Commissioner of Information, Malam Mohammed Garba, threw the challenge while addressing a news conference in Kano. “I want to challenge anyone with proof of killings during the election to come and give the names of those killed. “The People’s Democratic Party (PDP) claimed that two persons were killed in Nasarawa Local Government Area but we went to the area and Nasarawa Hospital as well, but we were not able to get report of any death. “So, if there is any person who witnessed killing of somebody in Nasarawa local government or anywhere, let him or her come forward and say so,” Garba said. He also debunked the rumours that there was protest after the election results were announced by the Independent National Electoral Commission (INEC). According to him, there were a lot of fabricated stories during the election which were the handiwork of those he described as desperate members of the opposition who wanted to discredit the election at all costs. “The desperation of the opposition to discredit the election was the reason why they continued to spread all sorts of rumours and lies on social media platform to misinform the public,” he said. The commissioner said that the supplementary election was generally peaceful besides two incidents which were quickly addressed by the security agents in the affected areas. He said the State Government would continue to ensure the security of lives and property in the state and urged all residents of the area to remain law abiding. “Kano is very peaceful because people are going about their normal businesses since the declaration of the election results by INEC, contrary to the rumours being peddled on social media platform. “I commend journalists for their adequate coverage of the exercise and call on them to continue to use their various media to promote peace in the state,’’ Garba said.